1. 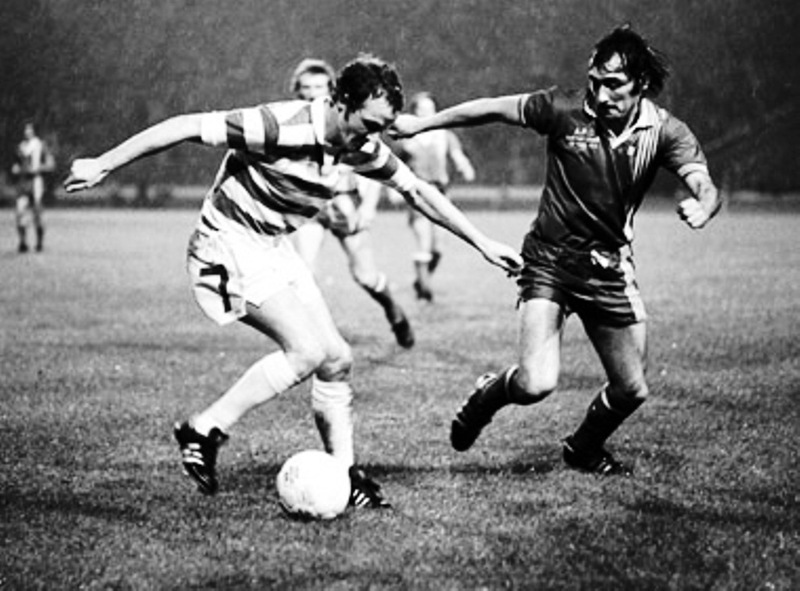 Name the Aberdeen player who is blocking Johnny Doyle’s path from 1976. 2. 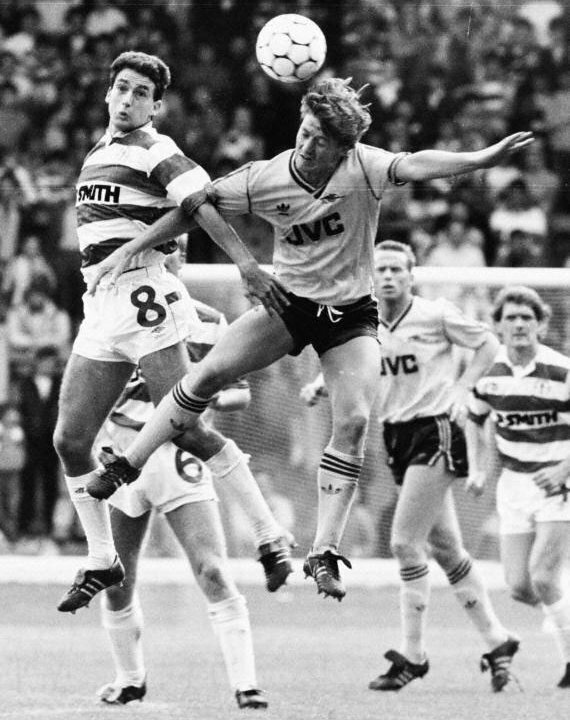 Celtic v Arsenal 1987. Who is the England international jumping with Paul McStay ? 3. 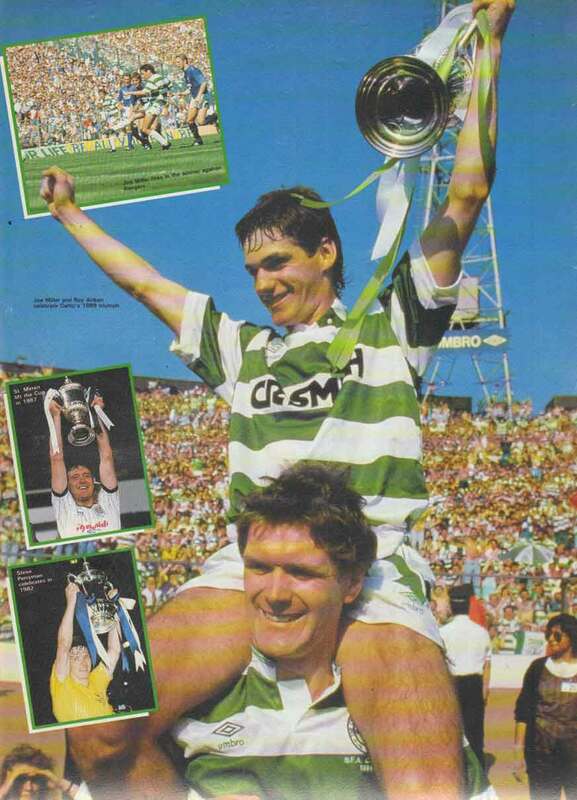 League winning celebrations from 1981. Who are the 2 Celtic players holding Tommy Burns aloft ? 4. 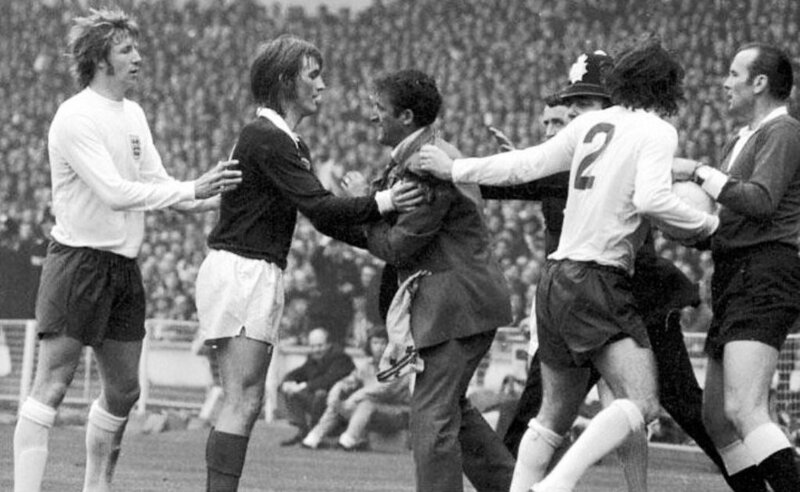 Kenny Dalglish restrains a drunken Scotland fan at Wembley 1973. Who are the 2 England players pictured ? 5. 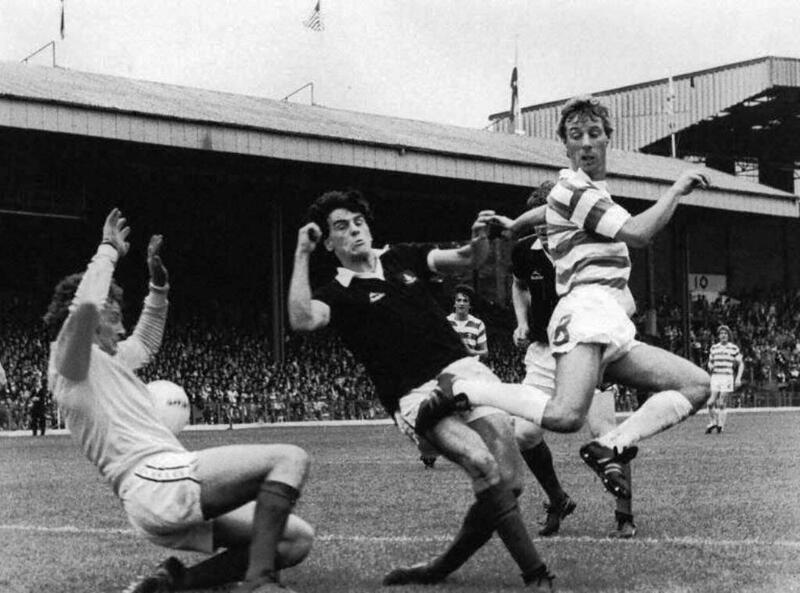 Vic Davidson scores at Parkhead in 1979. Who are the opposition ? 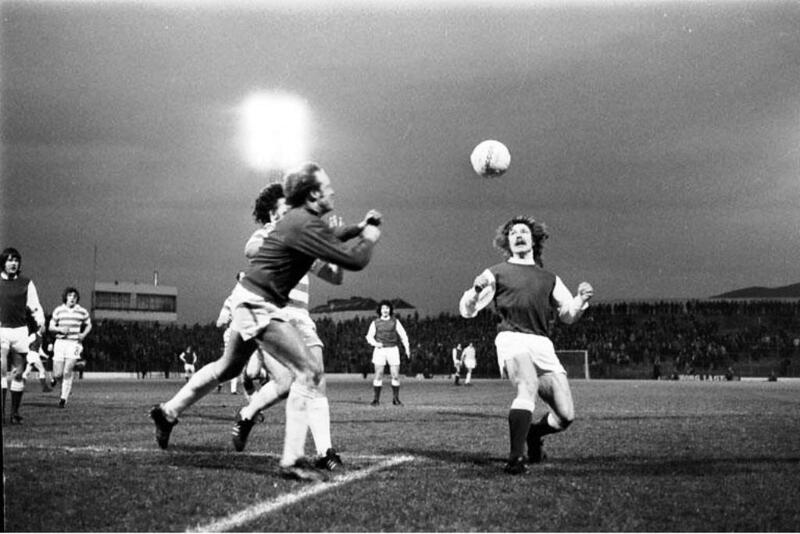 6. Who is the Celtic keeper punching clear at Easter Road in 1977. 7. 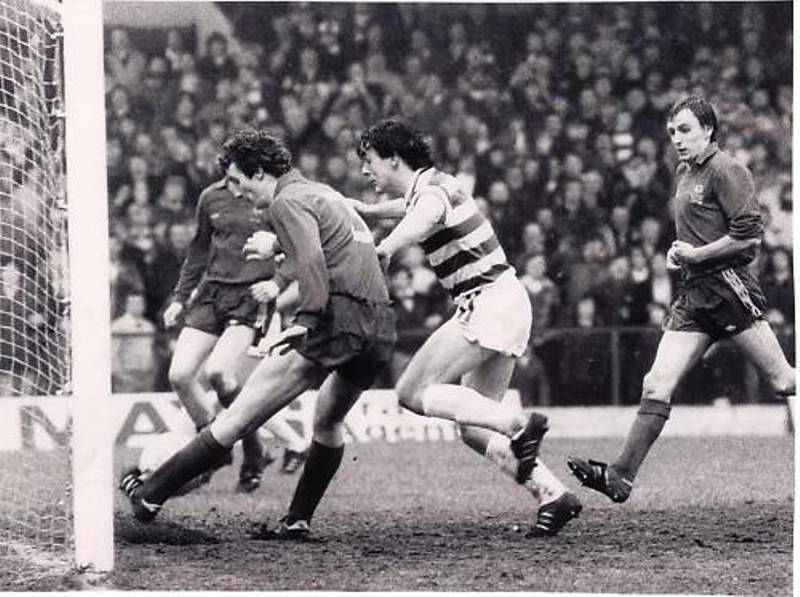 Frank McGarvey goes close to scoring in 1983. Who are the opponents ? 8. 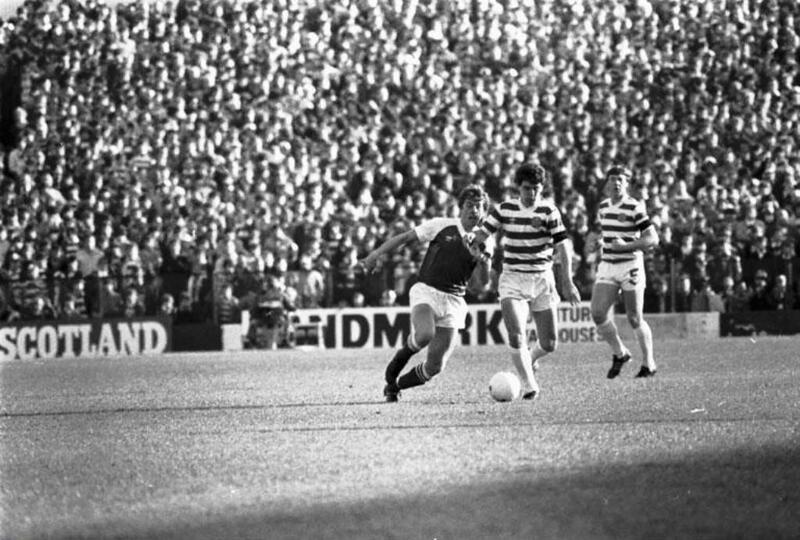 Hibs v Celtic 1981. Who is the Celtic number 5 pictured ? 9. 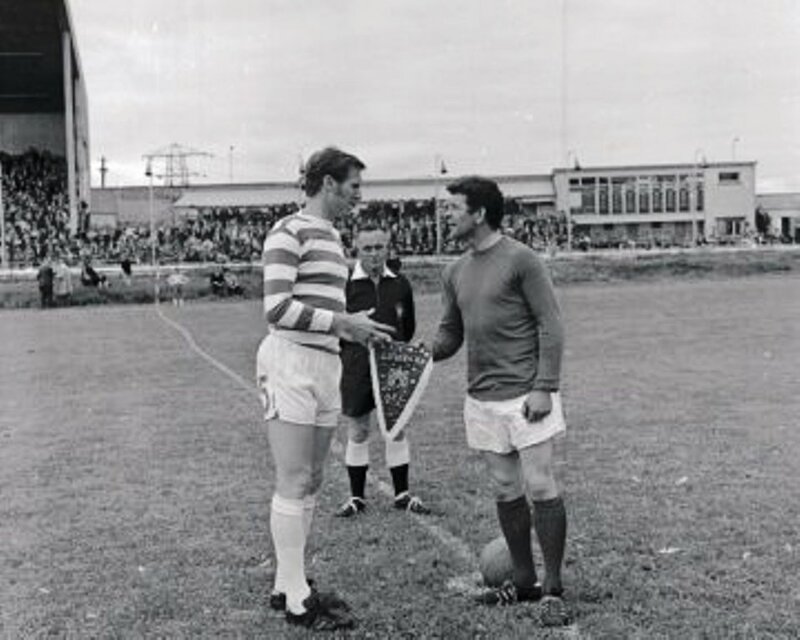 Billy McNeill swaps pennants. 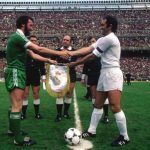 Who are the opponents ? 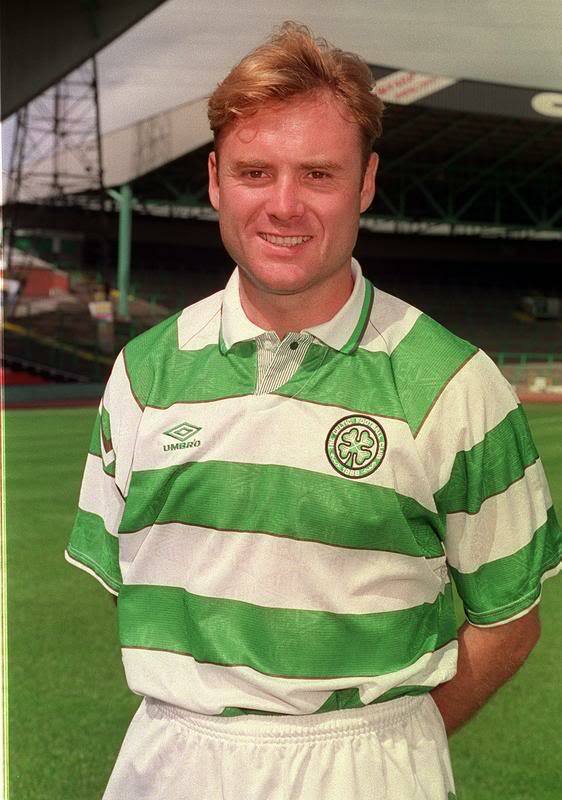 10. Who is the happy Celt and what was the occasion of this game ? 11. 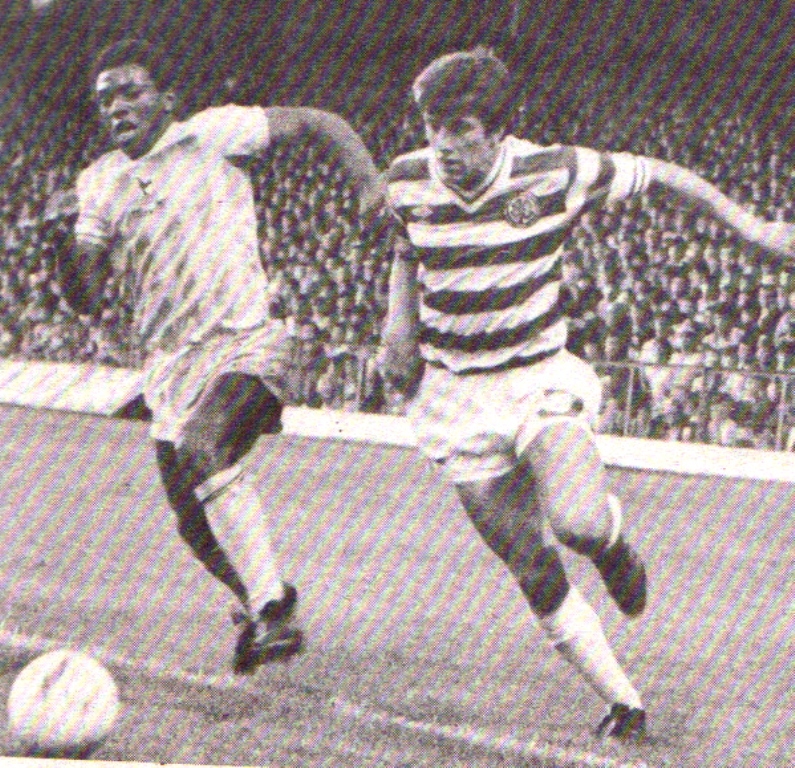 Mark McGhee races in on goal. 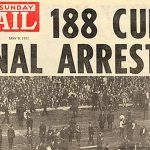 Who are the opposition ? 12. 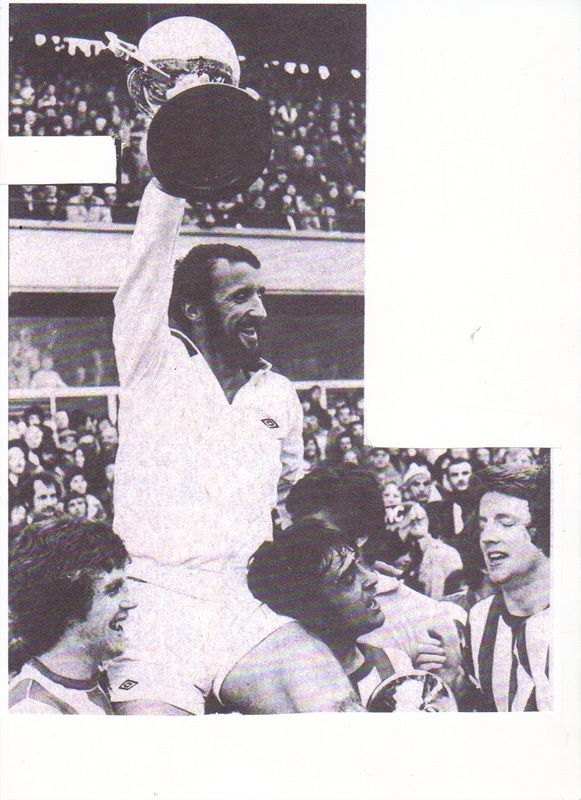 Danny McGrain lifts some silverware. What trophy have Celtic just won ? 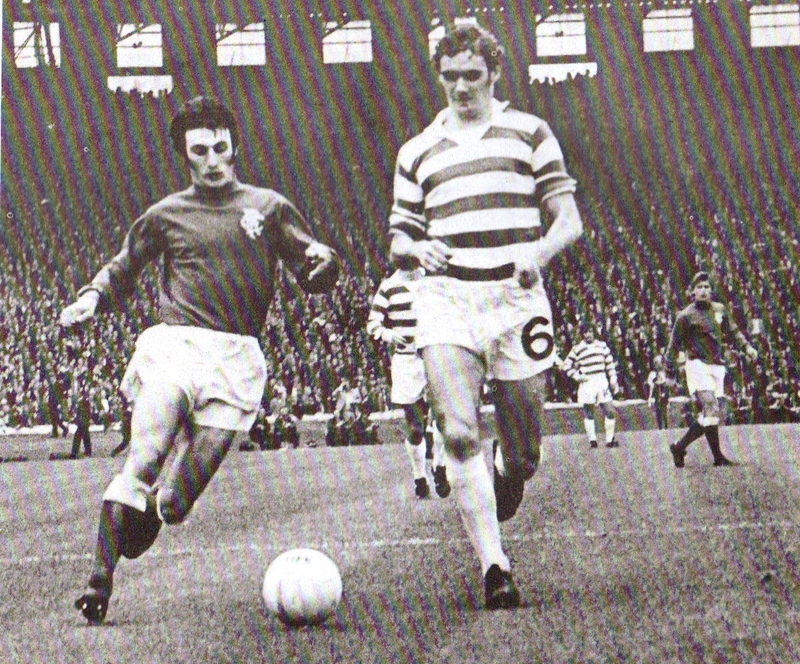 13. Who is the Rangers player competing with George Connelly in 1972? 14. Alan McInally is pictured against which opponents from 1986 ? 15. Mark Reid on the defensive from 1983. Who is the Spurs player in the picture ? 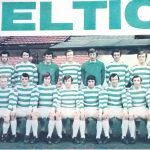 Answers as always will be posted in due course. See how you get on. 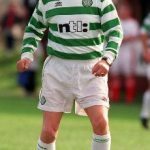 11-15 – You’ve had a Gary Hooper, you know your stuff and hit the target regularly. 6-10 – You’ve had a Cha, you gave plenty of effort with very mixed results. 0-5 – You’ve had a Miller, you took part but unfortunately no one has noticed.